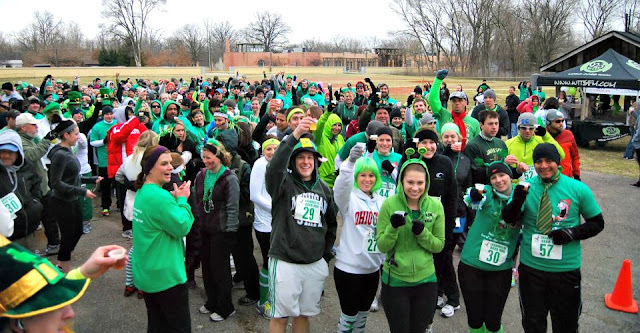 While I lay low recovering from the 5k Shamrock Beer Run yesterday, I want to share with you how my weekend went via pictures. But first a little preview from the run. 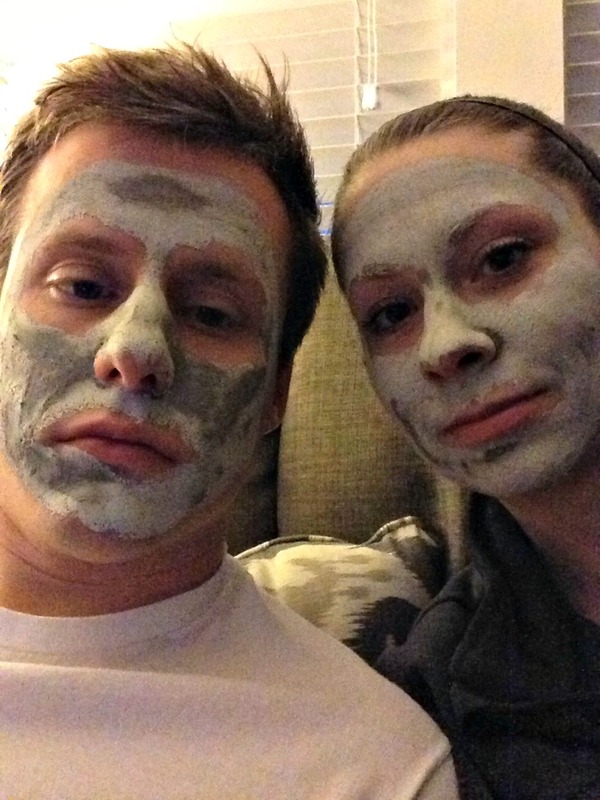 Friday the Hubs and I relaxed all evening. I made a really simple dinner, we watch some DVR'd shows, and also put on a face mask. 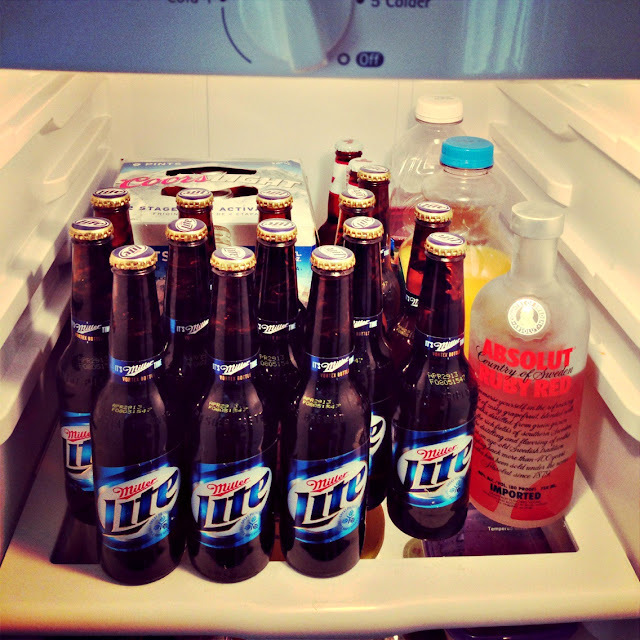 We stocked up our fridge for a weekend full of festivities. Shouldn't everyone's refrigerator look like this? Saturday we went and picked up our packets for the race on Sunday. These were the shirts they gave. I think they are pretty darn festive. To finish Saturday out, we went out to dinner and of course ordered green beer and fried pickles. A weekend full of St. Patrick's Day parties is not complete unless you have some green beer. Sunday was the big day. The race began at 10am but more about the race later this week. After the race, we walked a few blocks and started bar hopping. 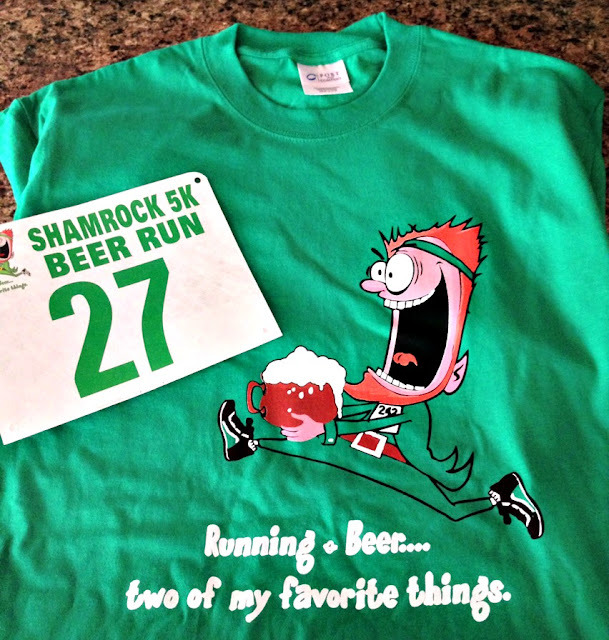 bar crawl after a 5k?! Sounds like a great day! 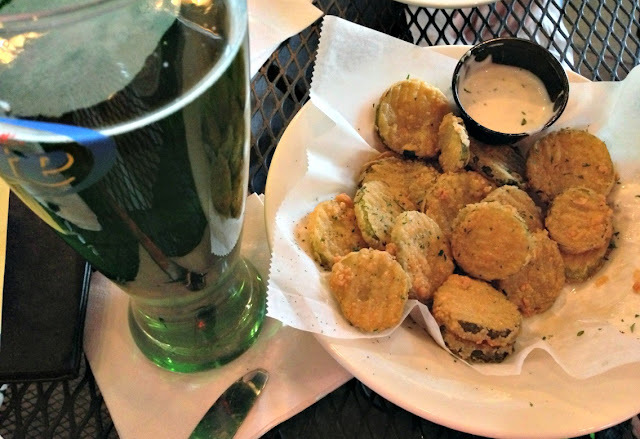 I am OBSESSED with fried pickles! I had some this weekend too except mine were spears. I need a fryer just so I can make them myself. you guys are so cute :) i've never tried fried pickles! sounds like so much fun! every race should have bar hopping at the end!! Looks like a great weekend. What a fun shirt!